1. Haze had a hard time thinking of her column name—what would yours be, and what would the focus of your columns be? 2. Are you a newspaper reader, or do you rely on the Internet for your news? Do you think one’s better than the other? 3. Who are some columnists/bloggers whose work you regularly read, and why? 4. What do you think of Haze’s love affair and how she justified it? 5. Susan and Sam were shocked by the revelations of Haze’s love affair—have you ever learned of a family secret that’s shocked or surprised you? 6. Sam’s teacher begins a “Radical Hag Wednesday” to interest her students in Haze’s columns and the opinions expressed therein. What did your favorite teacher do to interest the class in the subject they were teaching? 7. What do you think the role of a free press in today’s society is, and what do you think of our American media? 8. 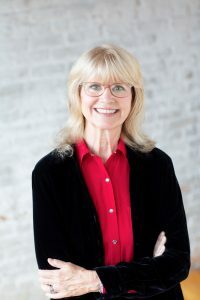 Susan’s high-powered career had a role in her marriage troubles. In your own partnership, how is work life/home life balanced? 9. Sam and his friends are inspired by Haze’s words to fight for their future. Are you hopeful for young people’s future? Why or why not? 10. One of Haze’s readers, Joseph Snell, often writes the paper to disparage her columns. Why do you think some people are threatened by others whose opinions differ from their own? 11. Today’s online trolls, protected by anonymity, can be vicious. Have you had experience with any of these trolls in your social media postings, and if so, how do you deal with them? What do you think has contributed to the deep decline in civility? 12. What are some of your work experiences dealing with the -isms Haze has to deal with: sexism and ageism? 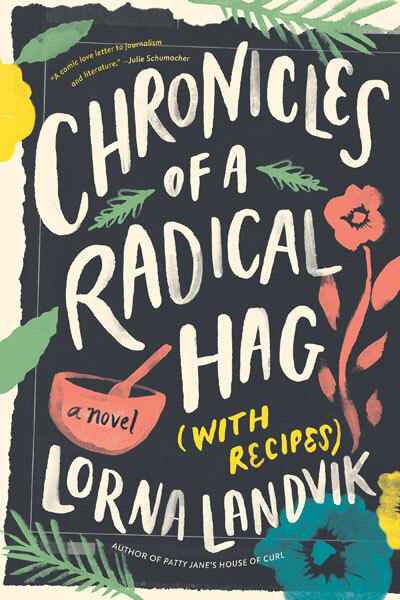 What compelled you to write Chronicles of a Radical Hag (with Recipes)? The same thing that compels me to write all of my novels—characters come into my head and demand (or because many of them are Minnesotan, ask politely) that I tell their story. So who came into your head with this novel? Haze Evans first, and she brought her profession as a newspaper columnist along with her. I then deduced that Susan McGrath, the second character to appear, was the paper’s publisher. Sam, her son, was on her heels, but I didn’t really know what role he’d have in the novel other than being her kid. Does it scare you when characters come into your head? Ha! I’d be scared if they didn’t, because that’s how my writer’s mind works. I know there are many ways to write a novel (I love reading about the processes of other writers). Mine is to leave the door of my imagination open and welcome in all and any guests, even the ones who track mud and head for the refrigerator without permission. Did any living person inspire the character of Haze Evans? My conscious brain’s not aware of any real-life inspiration; who or what fires up the neurons in my unconscious brain is a mystery I doubt will ever be answered. I’m inspired by strong women who stand up for themselves and what they believe in. Sadly, this kind of strength is still not universally applauded in women (hence men like Joseph Snell, who refer to Haze as a ‘radical hag’). Who are some real-life strong women who stand up for themselves and what they believe in? I’d say a lot of women who were elected in the 2018 Congress! Also many of today’s female comics; they take no prisoners and don’t apologize for who they are or what they say. And of course I admire people who keep up the good fight, no matter how long they’ve been fighting: Jane Fonda, Gloria Steinem, Jane Goodall, Eve Ensler, etc. Because that’s what the world needs now. (C’mon everybody, hold hands and sing along!) But really, how are we to get better without the dreamer’s ideas and the doer’s actions? There is so much to be done, and it’ll be the job of big, dreamy, imaginative minds to figure our way out of the messes we’ve created and energetic, hard-working, problem-solving doers to get that work done. Sam is the personification of adolescence—awkward, belligerent, cynical, defensive, eager (okay, I’m not going to go through the whole alphabet, but you get the picture). Along with typical teenaged hormonal wackiness, he’s dealing with his parents’ separation and an older brother who Sam feels is the golden child whereas he’s only…bronze. He hates when his mother forces on him a summer job at the newspaper and hates that he’s tasked with going through files of Haze’s old columns and readers’ letters responding to them. Boring! How is he supposed to relate to a woman old enough to be his grandmother and the words she wrote back in 1964, in 1976, in 1982, and so on? And yet her column about the first day of school reminds him of the crush he had on one of his elementary school teachers. The more he reads, the more he loses his perception of an old lady columnist and gains an understanding of a whole person whose thoughts, ideas, and opinions have mattered to a lot of people, including himself. Her voice gives him confidence in using his own voice. How did you choose what Haze writes about? It was more a question of what not to choose. Haze’s columns span a fifty year time period beginning in the mid-sixties, and while I wanted to write about the seminal events of each decade, I had to narrow them down by asking myself the question, which seminal event? And too, Haze writes about her domestic life as much as the world at large, so I had to figure out what was happening to her as a woman in her thirties, forties, etc., against the backdrop of what was happening in the times she was living. Why did you include recipes? From girlhood, women are taught to be considerate of other people’s feelings, to be nurturers—all very good lessons, but ones that sometimes get in the way of being considerate of and nurturing our own selves. In her columns, Haze writes what’s on her mind and for some readers, what’s on her mind is offensive. Joseph Snell is a reader whose political and world views widely differ from Haze’s, and it is after a column in which she wonders how men would feel if they had to take their wives names after marriage that he writes in, dismissing her work as nothing more than the loony harangue of a radical hag. Haze is amused, but in her rebuttal, she offers up a recipe for almond crescent cookies, urging him and others who write angry missives to put down their boxing gloves and put on oven mitts instead. While Haze is forward thinking, she’s also a woman of her times, and it’s a tongue-in-cheek and nice gesture (and it is a good recipe) meant to mollify her critics. But here’s the thing: I doubt there are many male columnists who’d feel the need to make nice, to soothe their critics by sharing favorite recipes. And here’s another thing: I’ll bet when readers call out male columnists, they don’t call them ‘radical coots.’ Ageism and sexism…sigh.